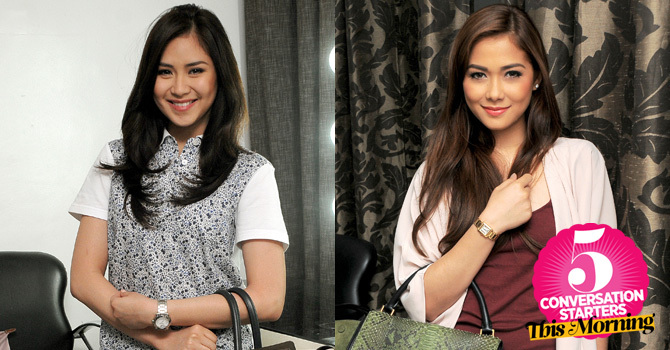 1 Aww looks like all is well for Gerald Anderson’s former and current ladies. Sarah Geronimo and Maja Salvador were seen sharing a hug during the closing of ASAP on Sunday, February 23, 2014. Check out the video below (fast-forward to 0:37 and look behind Kim Chiu!). In the meantime, watch this super cute parody video of adorable kids reenacting scenes from the Best Picture nominees.